*Art by Sarah Crawley for the Juxtaposition Magazine Issue 9.1. 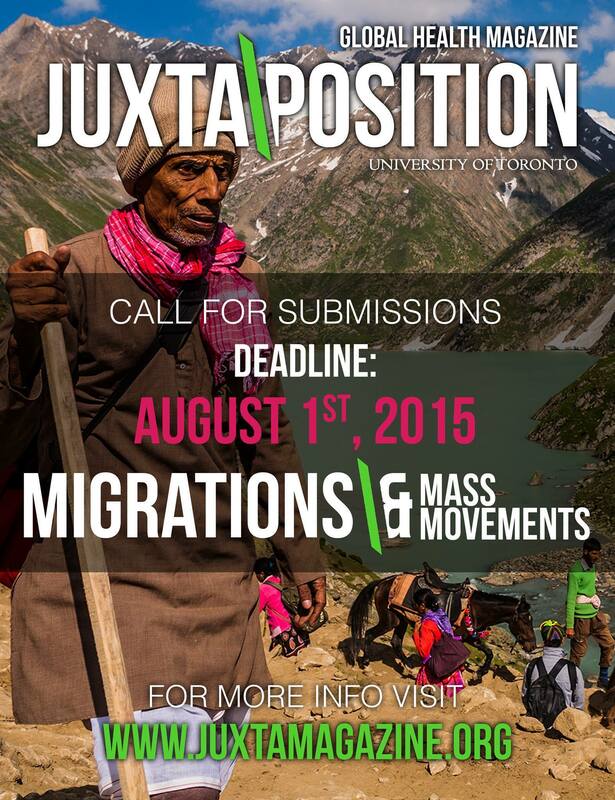 Note: In the past, Juxtaposition did “Monthly Themes”. This has been discontinued for 2019, although we have a collection of topics to inspire you to write. Please consider our themes as prompts only. 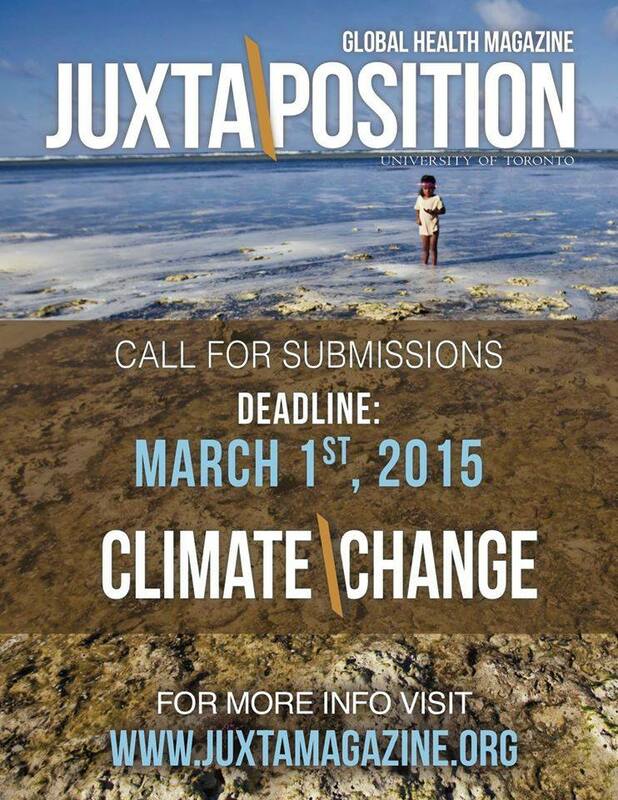 We accept submissions even if it does not pertain to the theme. 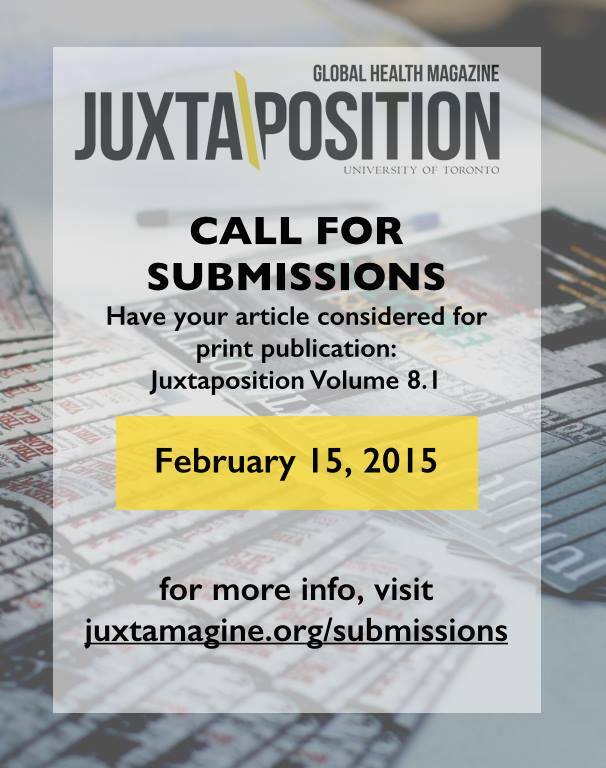 To learn more about our submissions guidelines, check out this page. 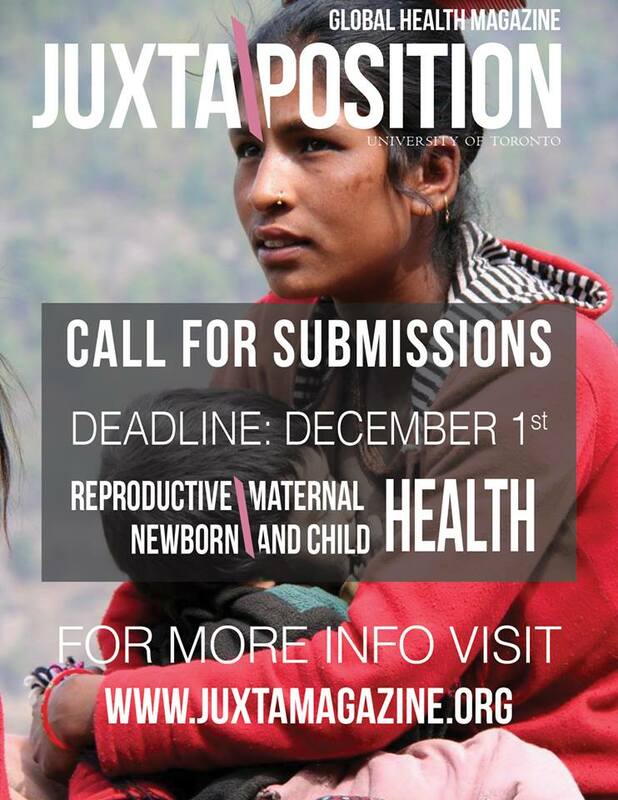 This November, Juxta aims to explore the “continuum of care” from reproductive to maternal, newborn, and chid health. Despite prioritizing maternal health as a Millenium Development Goal for 2015, progress towards reproductive, maternal, newborn, and child health has been slow, and still today 289,000 women die from childbirth every year. This area has been identified as a priority area by the WHO and countries all over the world including Canada. Mental health is an integral and often overlooked part of health. It is included in the WHO definition of health as the “state of complete physical, mental and social well-being and not merely the absence of disease or infirmity” but is often not addressed in practice. 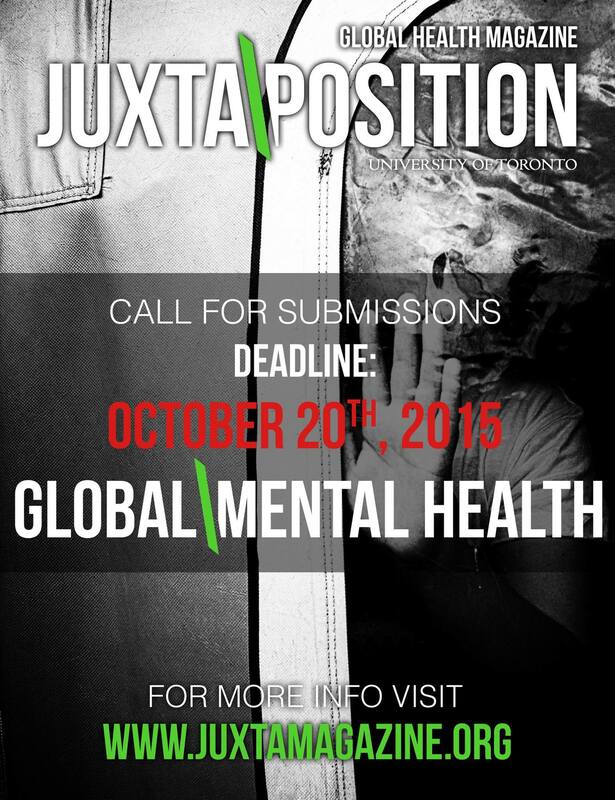 This October, Juxta aims to explore different topics in mental health including prevention, stigma, and the varying social responses around the world. 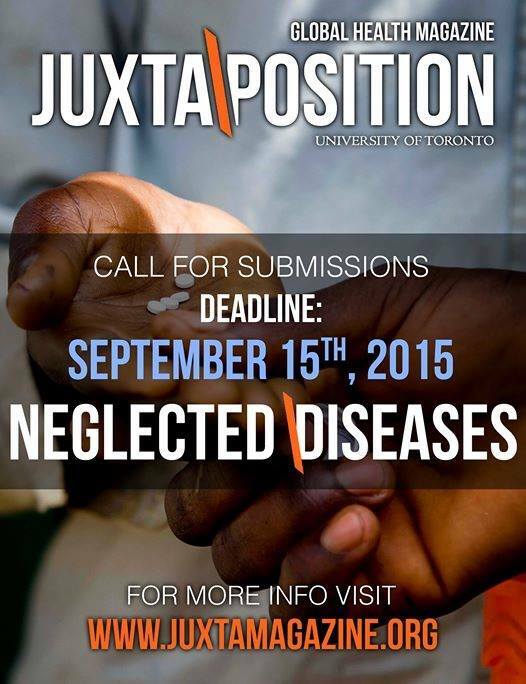 This month we want to hear about your global health experiences. 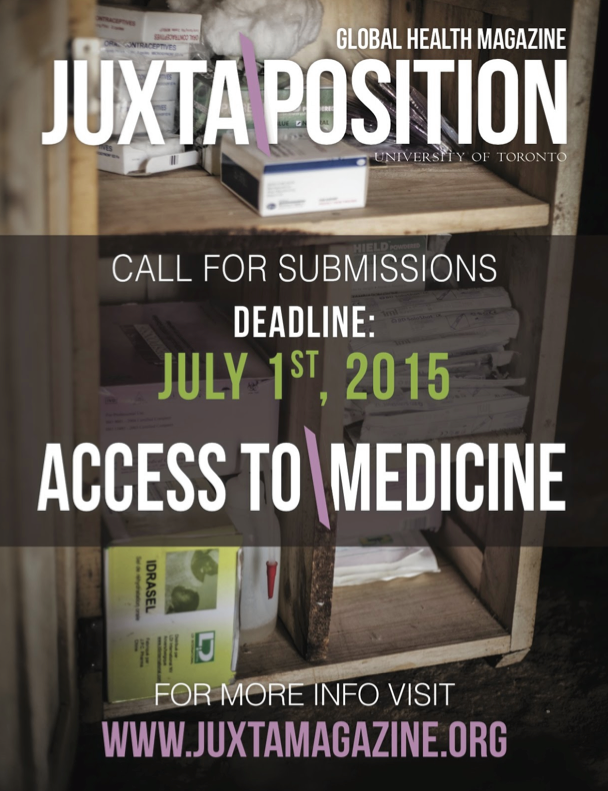 Do you have experience working with a health NGO? Interning with a government or organization? 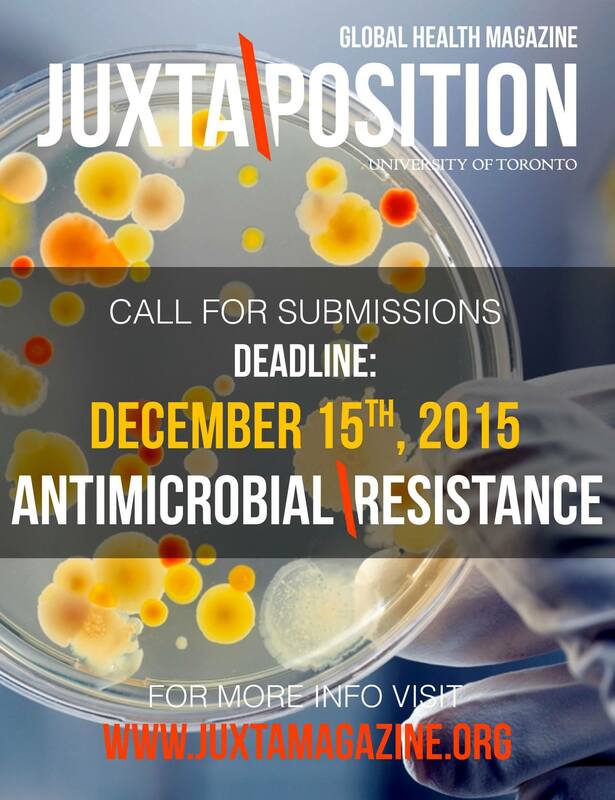 Conducting your own research on health outcomes? These can be experiences in a local health centre to research projects in another country. The history of HIV/AIDS is closely linked with the evolution of global health. Lessons learned from the HIV epidemic have challenged traditional boundaries of research and have contributed to establishment of new standards for research with marginalized communities. 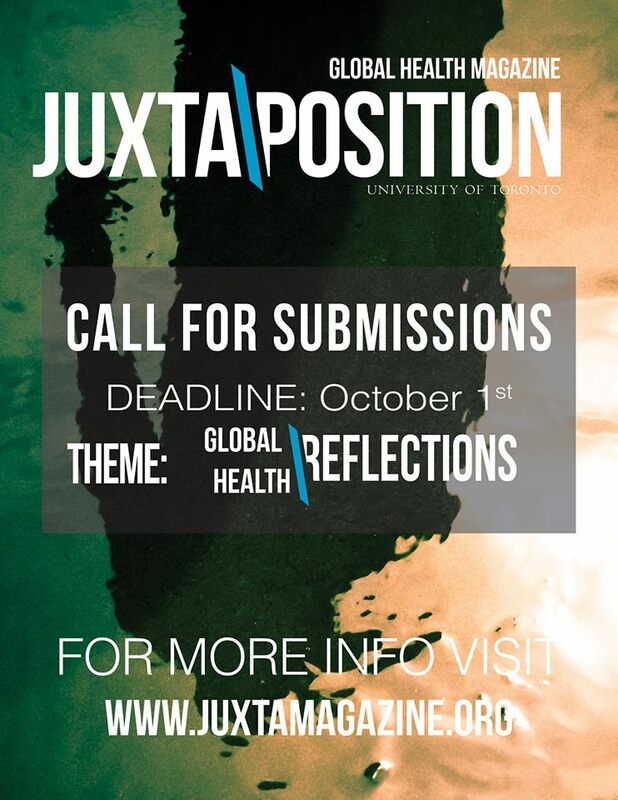 This Month, in celebration of 20th AIDS conference, Juxta aims to explore different topics in HIV/AIDS including prevention, treatment, law, ethics, and stigma. Health and politics are closely connected. 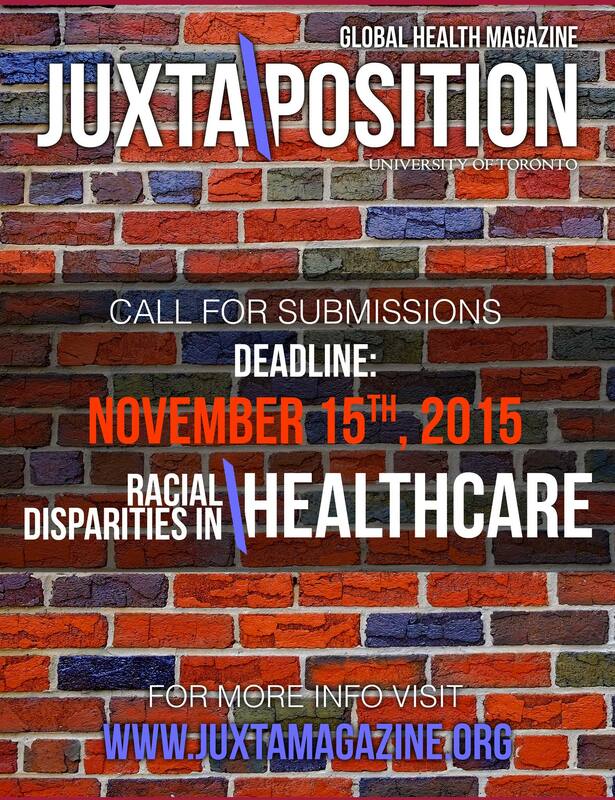 This month, Juxta aims to display this critical link between the health of a society and its political institutions. Trade and economic polices, sustainable resource allocations, and ethical prioritization of healthcare are all important issues that fall under the theme of health and politics. For a sample article on this month’s theme, check out Global Health Diplomacy.